Suffragettes in the 20th century wore white as they protested for the right to vote. 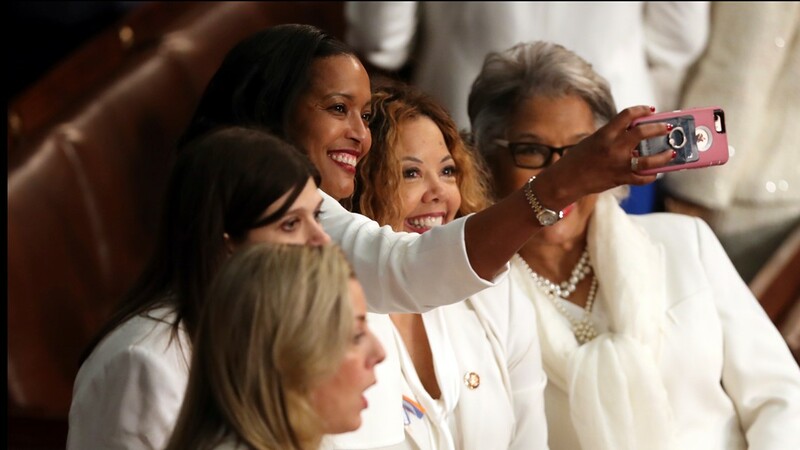 Many female lawmakers donned white outfits to wear to President Donald Trump’s third State of the Union Address on Tuesday night. Historically, the suffragettes of the 20th century wore white to protest their right to vote. 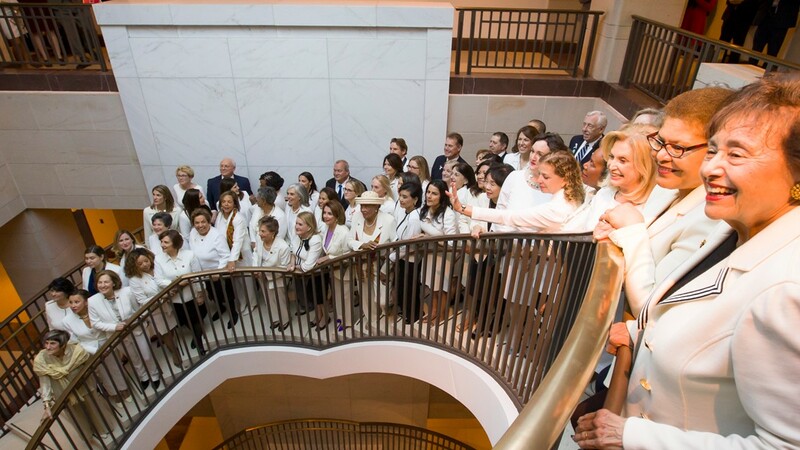 “Today, we wear suffragette white to send a strong message that we are fighting #ForThePeople and advancing women’s rights,” tweeted Rep. Jan Schakowsky, a congresswoman from Illinois. During his speech, Trump noted the number of women in newly created jobs last year, touching off a remarkable moment. The women in white leapt to their feet and high-fived, pointing at themselves and each other. They had won some of those very jobs. Trump, surprised, said, "You weren't supposed to do that." Then, because he knew the part of his speech that was coming next, told them not to sit quite yet, promising "You're going to like this." Trump recounted that a century after the Congress passed the Constitutional amendment "giving women the right to vote, we also have more women serving in the Congress than ever before." More high-fives and the women in white, repurposing a favorite outburst of the men in suits on the other side of the aisle, chanted, "U-S-A!" Prior to Trump's speech, the Democratic Women’s Working Group held a press conference Tuesday ahead of a photo op featuring congresswomen dressed in their white outfits. 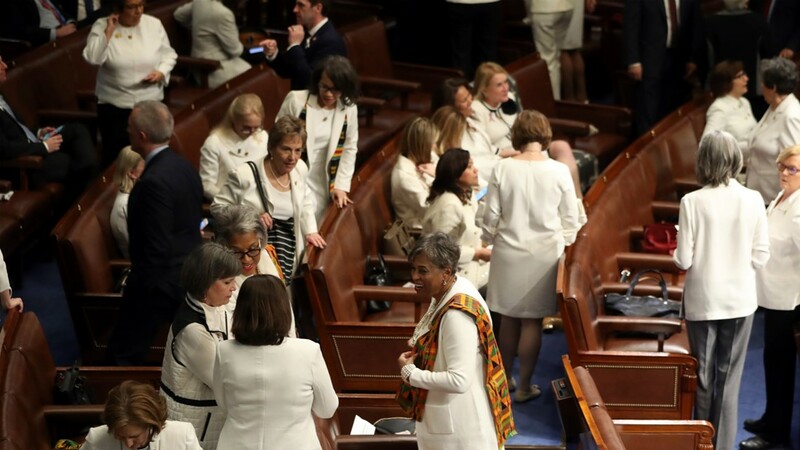 “Today we stand together wearing white in solidarity with the women of the suffrage movement who refused to take no for an answer,” said Rep. Brenda Lawrence, from Michigan. 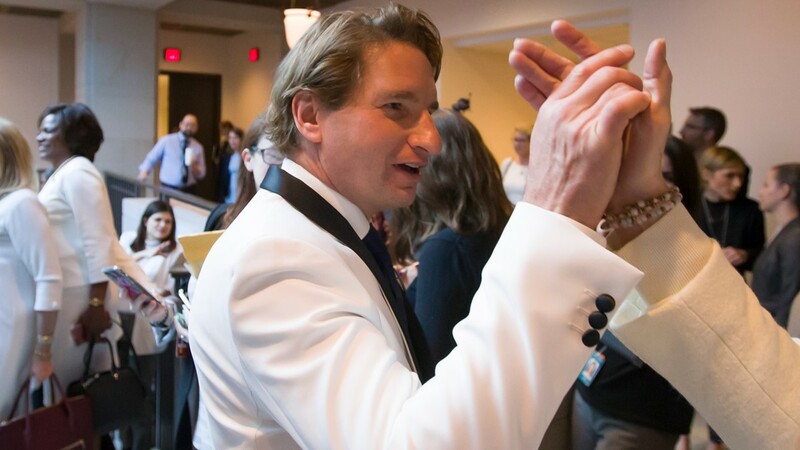 Rep. Dean Phillips of Minnesota also wore white in solidarity on Tuesday. Last year, many congresswomen wore black outfits in support of the #MeToo movement. At the time USA Today reported that idea was born after actors did it for the Golden Globes. 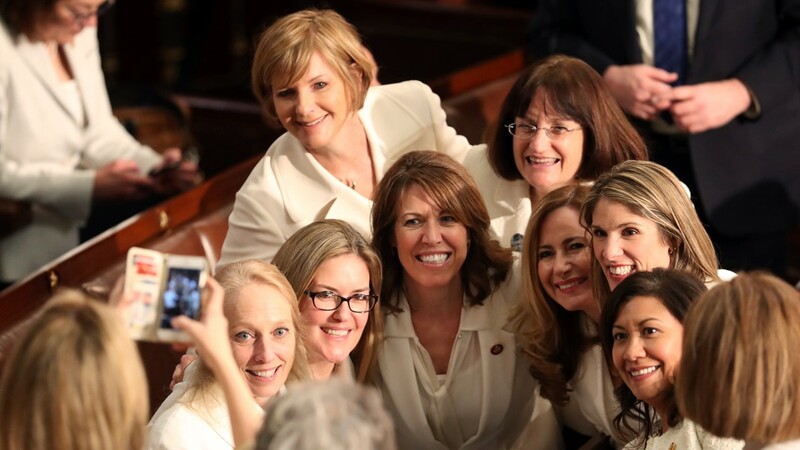 In 2017, many female lawmakers wore white to Trump’s first State of the Union address.